Testing is conducted to identify the flaws in the software. In the bid to make the software as perfect as possible, different types of testing are done. One such testing technique is known as the Vulnerability Testing. 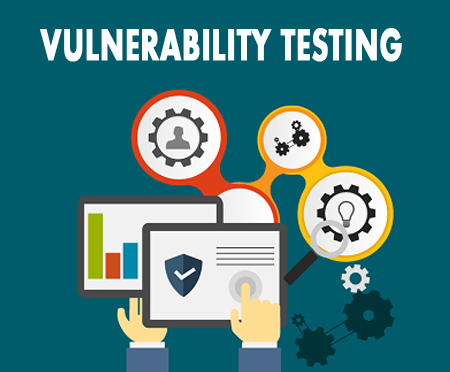 The aim of this article is to gather an insight into the different aspects of Vulnerability Testing. The susceptibility of a system towards physical harm or damage is known as the vulnerability. It is also defined as the ability of easily getting hurt or attacked by external as well as internal forces. The process whereby all the vulnerabilities of the system are identified, catalogued,quantified and ranked is known as Vulnerability Testing. Quite often, it is also described as the quantum of involved risks. Why Is Vulnerability Testing Done? Access Technical Weaknesses – Technical weaknesses are those that can be addressed by tweaking the codes and setting up password protections. This way the unauthorized entry is restricted. Technical risks can be sorted in-house while developing the system or software. Address Network Security Issues – Network security issues are more complex, these would relate to the hacking of computers and servers. As a result, specialists are required to strengthen the firewalls. It is only through Vulnerability Testing that such issues are brought to the forefront. Prioritizing And Implementing Security Measures – Vulnerability Testing makes it possible to quantify the risk. As a result, it is possible to differentiate between a high-risk entity and a low-risk entity. Such differentiation makes it possible to prioritize and implement the corrective action. Checking the strength of passwords to confirm that they are of requisite strength and therefore difficult to break. Checking the adopted technology to verify the sensitivity of the access controls. Verifying how easy or difficult it is to hack into the system and drop viruses by running malicious and harmful scripts. Check the safety of the data during the eventuality when the system is hacked by miscreants. Evaluating the protection level of the system configuration files so that it is next to impossible for anyone to modify the program or software. How Is Vulnerability Testing Conducted? When it comes to Vulnerability Testing, the tester is the hacker who tries all possible combinations to break into the system and ultimately the software. Sometimes, professional hackers are paid to do this job so that all loopholes are brought to light. At other times, a tester using their own experience and knowledge tries to achieve the same result. This is an ethical way of hacking. The purpose of Vulnerability Testing is to bring attention to attention all those probable areas that can be hacked into. Hacking might be the work of any external person or a person employed by the firm. Either way, an unauthorized entry or access to data has to be prohibited. In today's time where data integrity and security is the biggest issue, it is best to find and close all such loopholes in the software that can give easy entry to unwanted souls.